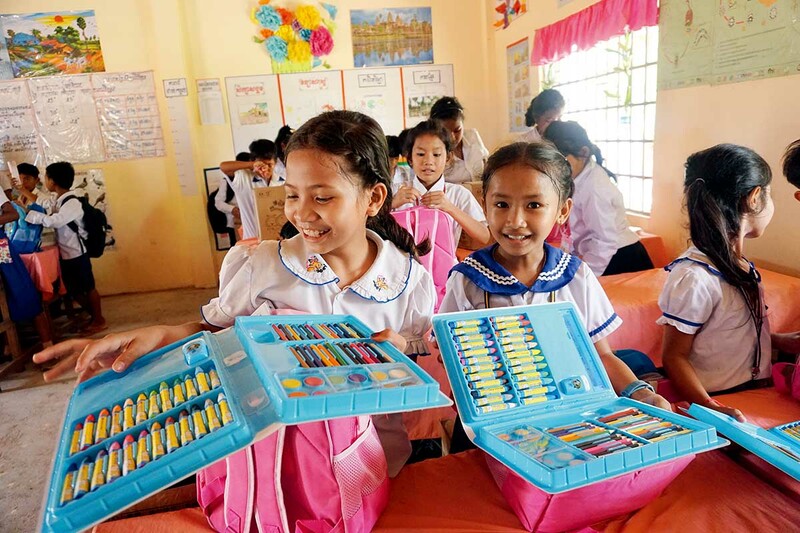 May 11, 2018: Students in Phnom Penh, Cambodia receive school supplies packs delivered by the China Foundation for Poverty Alleviation (CFPA). Lin Yuan first visited Myanmar in July 2014. 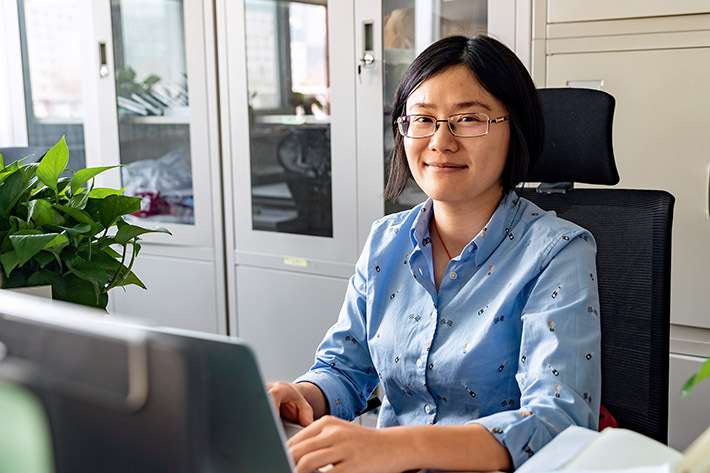 After being a member of the China Foundation for Poverty Alleviation (CFPA) for only a year, she was selected to participate in a 12-day overseas survey. 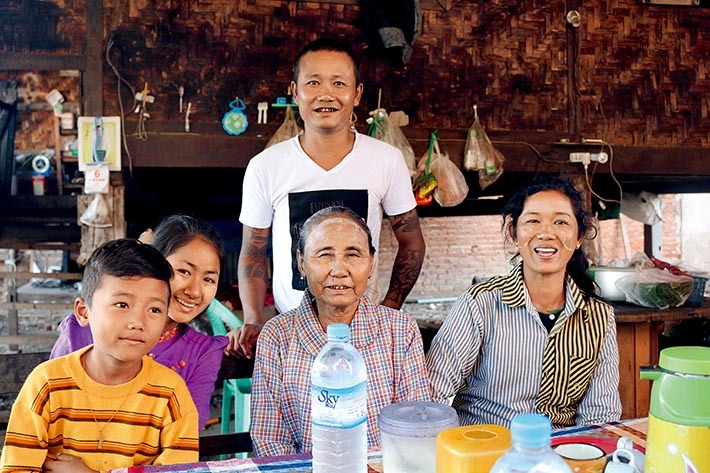 In an interview with local college students, she met a girl who revealed that her father had passed away and her mother, who lost an arm, provided for the family and the girl’s education all by herself. The girl couldn’t hold back tears while talking about her family. Lin was touched by the family’s resilience. “I should do something in Myanmar,” she thought. In the 2014 survey, Lin and her colleagues realized that education is one of the most urgent needs in Myanmar. Poor college students there need both financial support and capacity building. Therefore, the CFPA’s Myanmar office launched its first public welfare project—the Paukphaw Scholarship Project—in July 2015, after it became the first Chinese international NGO registered in Myanmar. The project is a Myanmar version of the New Great Wall Self-Improvement Project that has been implemented in China for more than 10 years. Ma Aye (second left), a beneficiary of the Paukphaw Scholarship Project, with her younger brother, grandmother, uncle and aunt. Aye lost her parents when she was young and was raised by her grandmother. In 2016, Lin and her colleagues decided to provide scholarships for 1,300 students from 12 universities in three states in Myanmar. They planned to support 700 of them for four consecutive years and the other 600 for one year, covering 70 to 80 percent of their living expenses. To achieve this goal, the CFPA would invest about 10 million yuan (US$1.5 million) in the four-year period starting from 2016. At the same time, Lin’s team also organized activities for the students, such as volunteer work, computer training and visits to Chinese enterprises. In 2017, the CFPA offered 10 Myanmar students a tour of Shanghai including visits to museums and pharmaceutical factories employing advanced technology. “We hope these students will pay the favor forward to others after receiving our help and also enhance their comprehensive competitiveness to get ready for graduation,” said Lin. Thanks to the efforts of Lin’s team, the Myanmar office has become a flagship model for the CFPA’s overseas development. In the future, they will continue projects in education and launch new projects promoting healthy drinking water. In their spare time, Lin and her colleagues like to play guitar and chat by the river bank. After talking with Lin, her Myanmar colleagues found a new understanding of China. “In the past, they looked to Singapore as the model for Myanmar to follow, but after learning about high-speed rails and mobile payment in China, they realized China was amazing,” Lin grinned. Chen Hongtao, executive deputy secretary-general of the CFPA, oversees the organization’s international affairs. He recalls Chinese people once questioning why domestic NGOs would go overseas to engage in public welfare undertakings while there were still so many poor people in China. Today, however, the Chinese public has become the major source of funding for the CFPA’s overseas projects. For instance, after Nepal was hit by a major earthquake in 2015, the CFPA raised more than 10 million yuan (US$1.5 million) in China for disaster relief. Most of the funds came in the form of small donations from ordinary people. 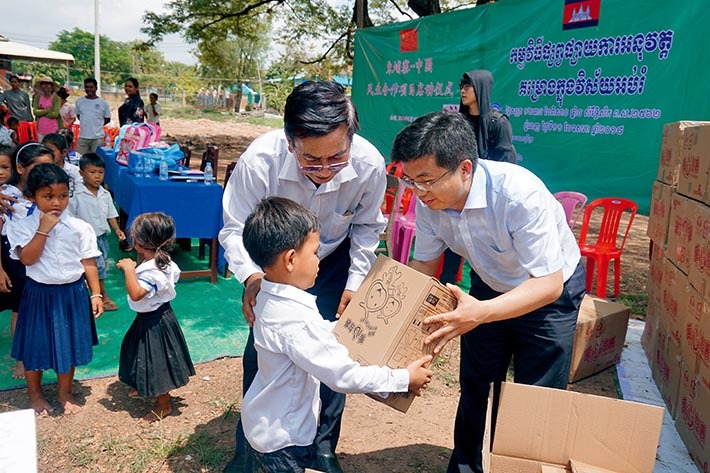 May 11, 2018: Chen Hongtao (right), executive deputy secretary-general of the CFPA, gives a school supplies pack to a student in Phnom Penh, Cambodia. Since 2005, the CFPA has carried out many international emergency rescue missions. It donated medicine to tsunami-stricken areas of Indonesia, assisted Chile with earthquake relief and supported West Africa in fighting the Ebola epidemic. After establishing the Department for International Development in 2009, the CFPA launched long-term development projects in countries like Myanmar, Nepal, Cambodia, Ethiopia, Sudan and Uganda. By the end of 2018, it had helped about 450,000 people in 20-plus countries and regions through investment of about 160 million yuan (US$23.8 million) in projects involving emergency relief, equipment assistance, NGO capacity-building, hospital construction, school meals, university student funding and comprehensive community development. On November 1, 2018, the CFPA launched a school meals program called “Smiling Children” at Metebaber Primary School in Addis Ababa, Ethiopia. 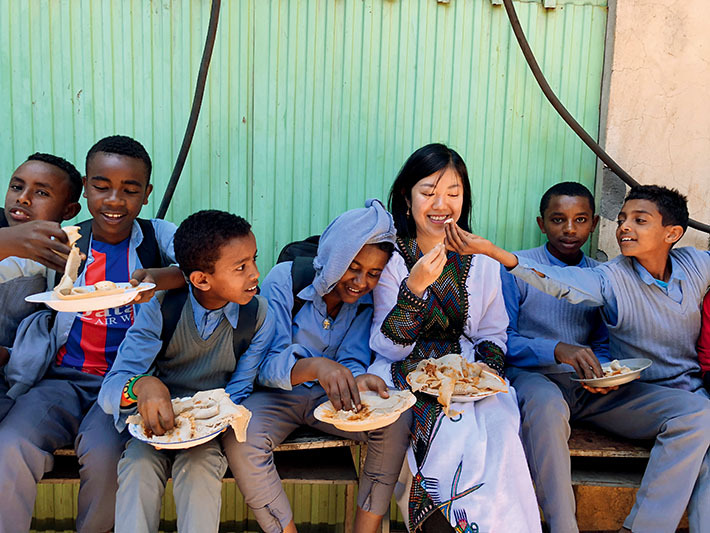 This photo shows Liu Fengwei (third right), director of the CFPA’s Ethiopia office, dining with students at the school.